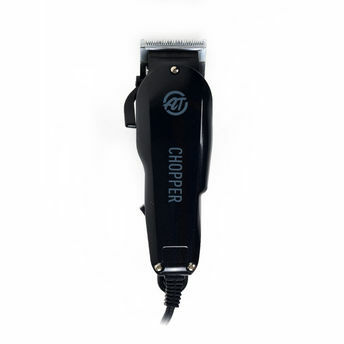 Shave with an ultimate ease using the Alan Truman Chopper - Professional Magnetic Motor Clipper. One of the affordable offerings by Alan Truman to make your styling easy. Driven by powerful Magnetic motor clipper for professional trimming and outlining. It comes with high quality, super sharp and skin-friendly carbon steel blade to give you a comforting feel while you style. It is sturdy, robust, strong, ready to take the load of everyday quick styling. It is Rust Resistant and prevents from pulling and cuts. It prevents from pulling and cuts. It is a smart, professional tool with an excellent ergonomic design that comfortably fits into your hand for easy maneuvering and ensures neither your hand nor your body is stressed during the most intensive styling session. Powerful Magnetic motor trimmer for professional trimming and outlining. High quality, super sharp and skin-friendly carbon steel blade. Prevents from pulling and cuts. Rust Resistant and prevents from pulling and cuts. Performs well on wet and dry hair. The body of this clipper will comfortably fit into your hand for easy maneuvering. Pack includes 4 attachment combs. Cutting hair Length 0.5mm- 3.0mm. Add 3 drops of Blade oil, around the teeth and lower section of the blade. Turn on the trimmer and adjust the speed to maximize oil coverage. And then just brush the blade. Or for light hair cleaning just brush the blade. Make sure you clean the blade after every use of it. Explore the entire range of Trimmers available on Nykaa. Shop more Alan Truman products here.You can browse through the complete world of Alan Truman Trimmers .